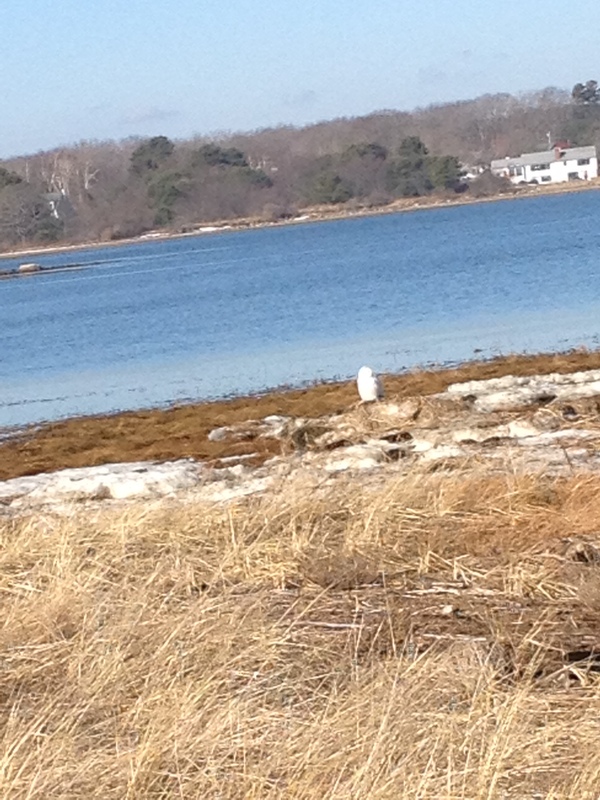 Snowy Owls have moved south. I have seen several news reports about these birds. They have moved south because of lack of food in the Tundra. I guess there are more owls than there is food for them to eat. The reports have said that most of the birds are young males. They are causing problems at the airports from Portland, ME to Logan in Boston, they like open spaces. 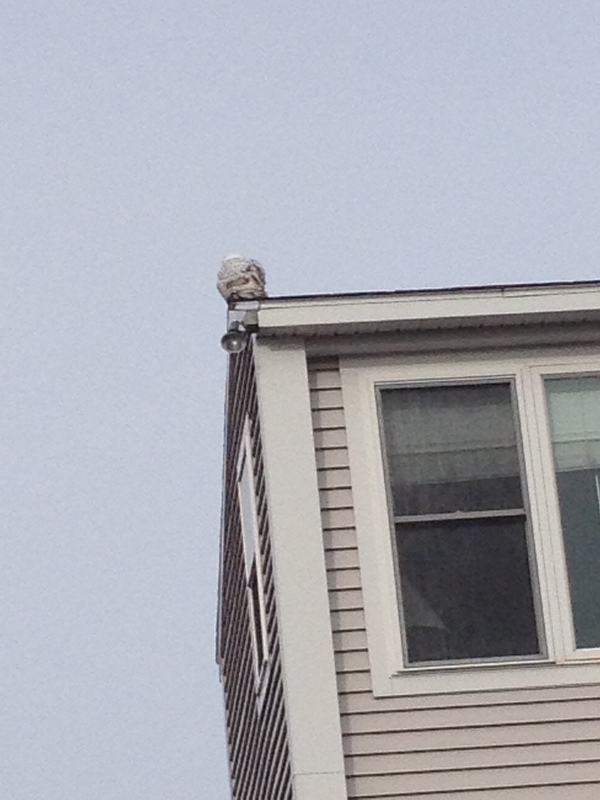 I see these owls almost every day on my way to the Post Office. I drive down a narrow strip of land that runs between a large tidal bay and the ocean. There are houses on both sides of the road. 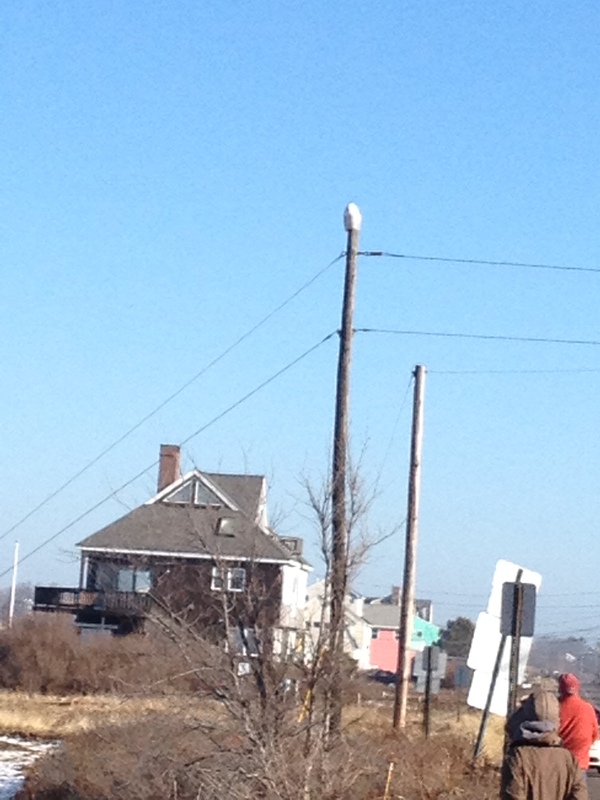 I see these owls sitting on the chimneys, and power poles. Today I saw 3 of them. They sit and swivel their heads around watching. They soar through the sky, scanning for food. Our backyard borders a Rachael Carson protected piece of land. I see them flying over this area, swooping and diving through the sky. They amaze me! They have become celebrities in these parts. The birders are out with their cameras and huge lens taking pictures. Everyday when I see them all out taking pictures I say that I need to grab my camera and telephoto lens and get some pictures. Oops… I forgot again. I live in a place where wild life is abundant. 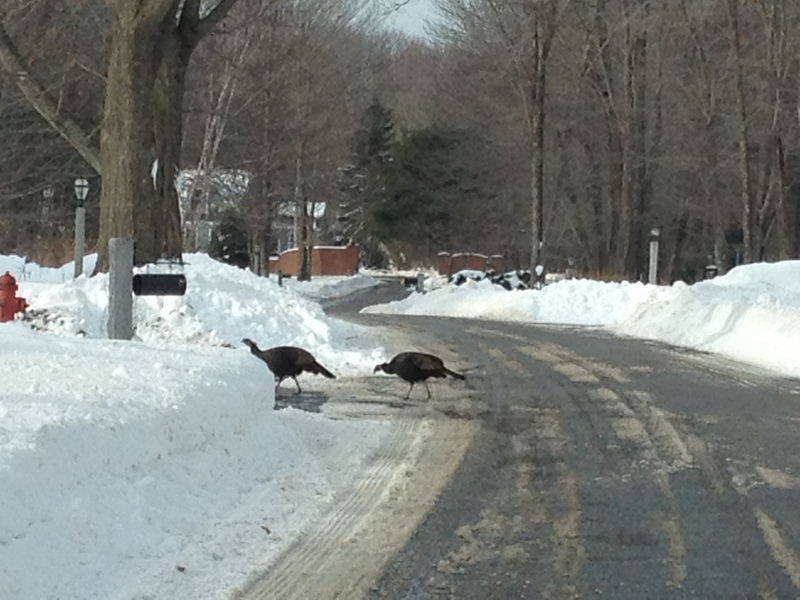 We see all sorts of birds, song birds, seagulls of course, loads of turkeys trotting along between houses. We see deer all the time, there was a set of twin fawns and their Momma in the yard this fall. 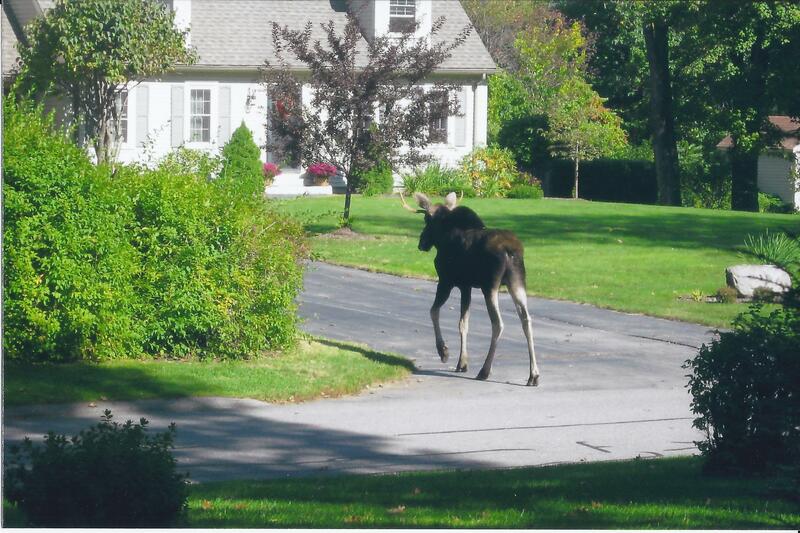 We even see the occasional Moose. I live in an amazing place – the views are breath taking, the animals are abundant and fabulous and the people are friendly and helpful. I am blessed. I am also going to put my camera by the door so that I can get a better picture of one of these owls.